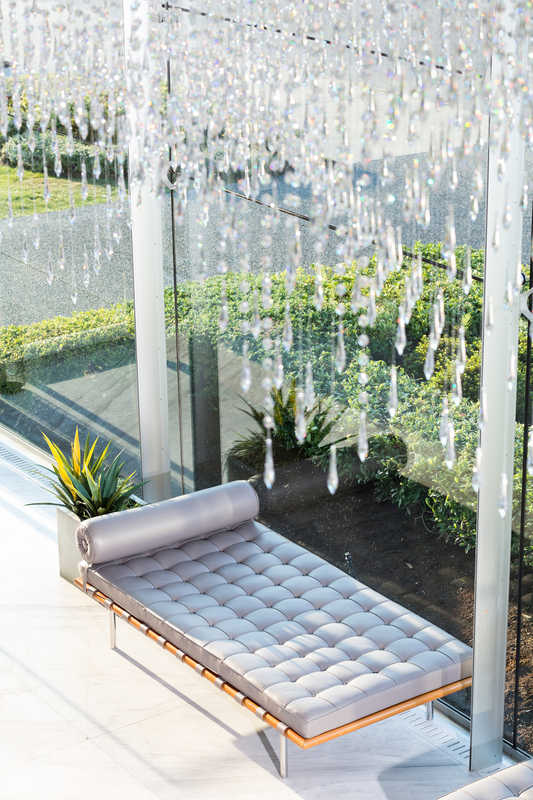 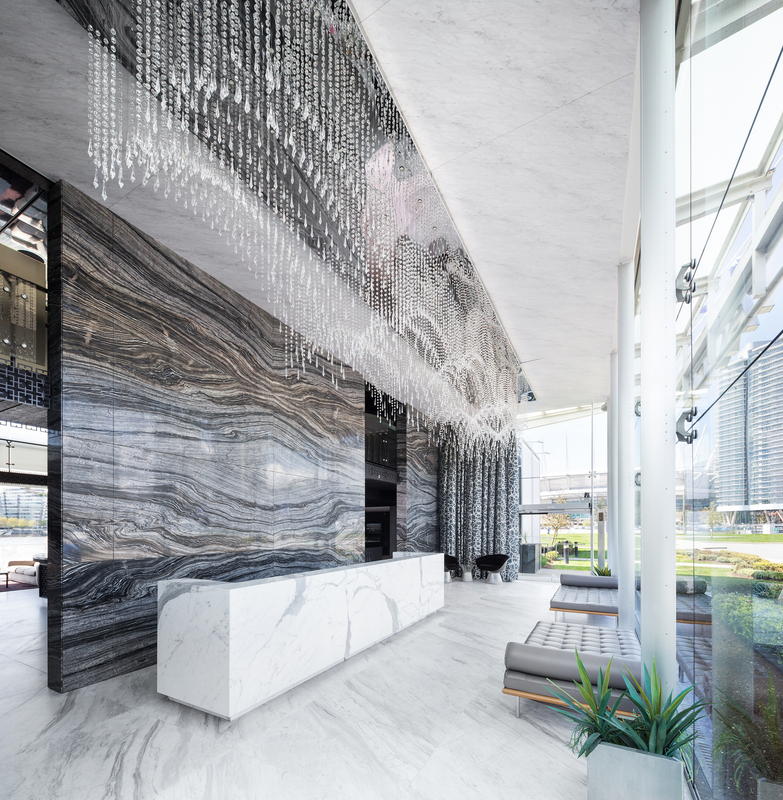 Inspired by the serenity of Claude Debussy’s classical piece, “Six Epigraphes Antiques”, the Vancouver Sales Centre was conceptualized to complement the natural tranquility of False Creek. 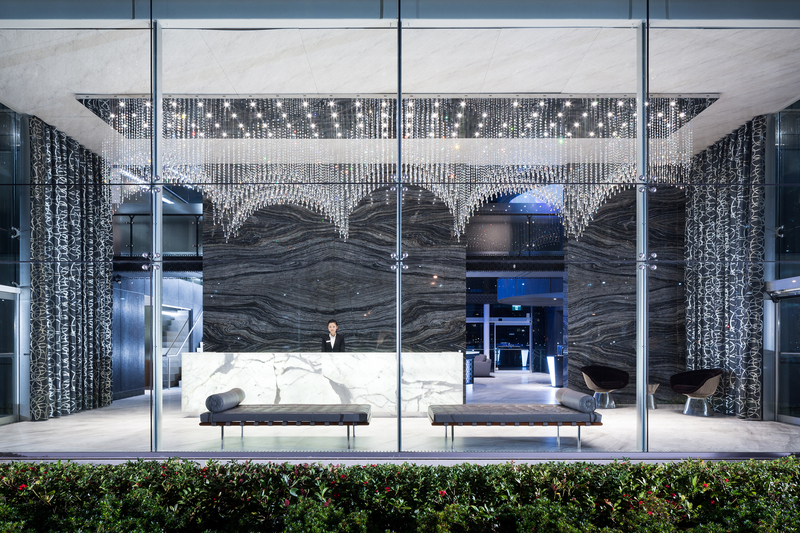 The visitor is greeted by the visual splendour of a black marble wall and contrasting white onyx desk under a spectacular custom lighting feature. 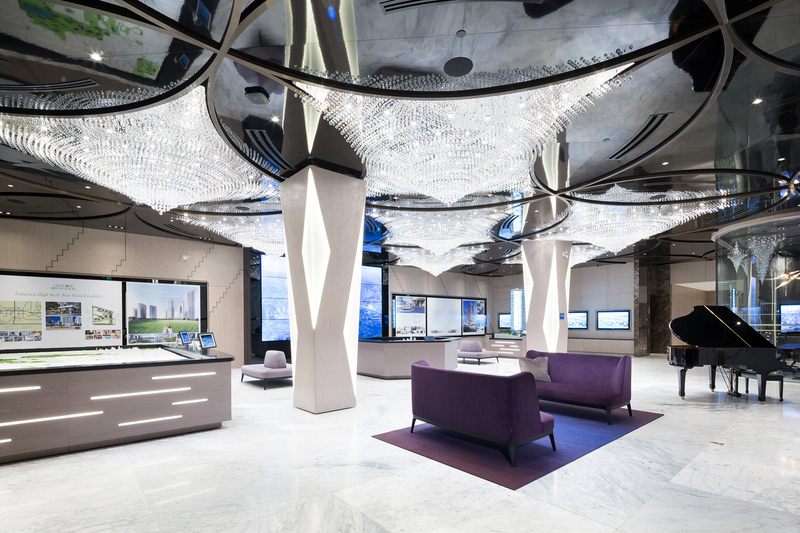 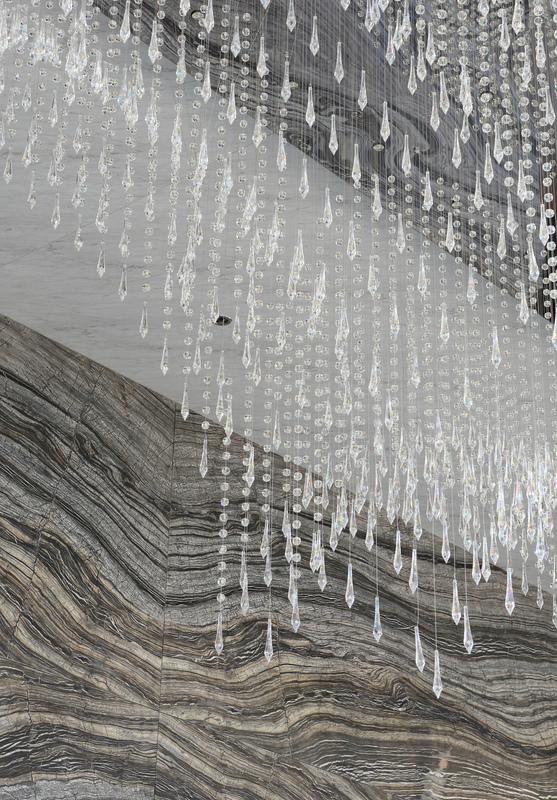 The stone’s polished material reveals a beautiful organic pattern while its reflective nature gently enhances and anchors the radiance of the grand chandelier above. 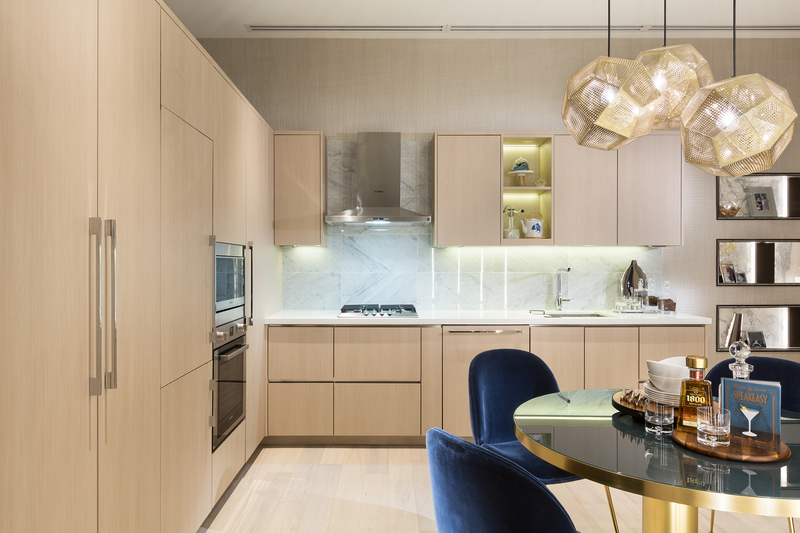 The repeated waveform of the lighting creates a symmetry easily followed by the eyes as it transitions from one end of the room to the other. 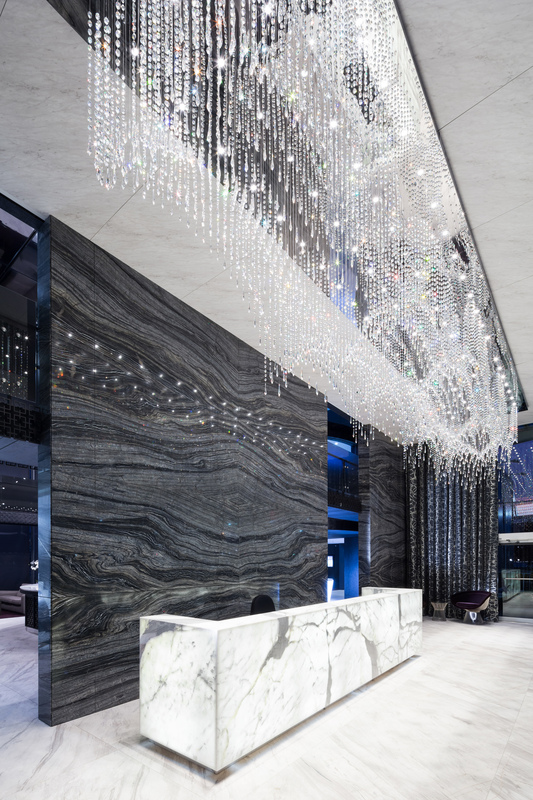 During both day and night, the lights create an amazing visual contrast against the double-height black marble wall.